When you intend to buy the best bug out bag, you need to consider several things such as quality materials, space, hydration, durability, carrying capacity, designs and warranty. People now use these bags for several reasons. Some of them look for some survival bug out bag only because they do not want to spend much amount, and they need to take these bags for their emergency situations, like natural disasters, earthquake, home-fire and other accidental issues. But most people try to collect these bags for multiple purposes, and they mostly use these bags for their recreation and adventurous activities, camping, boating and for touring purposes. 3 Choosing That Ultimate Bug Out Bag? 4 Uses Of Best Tactical Bug Out Bags? During any natural disaster like earthquake, civil unrest and house fire, you will never get the chance to gather all your needs and leave the place. You will get maximum few seconds to leave the place and within this short time, you have to get out with your emergency Urban Survival disaster kit. Urban Survival Bug Out Bag is available for two to four persons, and you can place your order as per your total family members. This survival kit has all necessary things which can protect your family from any natural disasters. This is a unique survival backpack where you can get all your needs including medical, personal and hygiene accessories. You can easily carry this bag at anyplace because of its lightweight nature, and you can easily run away with this backpack from any natural disaster. It will save your life and help you to survive. The first aid kit of this bag comes with more than 118 items including some medicated masks for you. In this portion, you will find all necessary first aid medicines like, bandage, gloves, disinfection solutions and many more. The weather protection kit of this bag contains reflexive sleeping bags, emergency poncho, tube tents and hand warmers. In the food and water section of this bag you will get 2x3600kcal food bars, twelve water pouch which are approved by coast guard and this entire food product has more than 5 years self life from the manufacturing date. Along with that, for water purification, you will get the water purification power, instruction and one folding water container. When you are out of your home, or stranded somewhere due to any climatic or natural disaster, you need some personal sanitation and hygienic accessories. In this bag, you will get all necessary sanitation items like, shampoo, tooth paste, toothbrush, comb, razor, soap bar, feminine pad, washclothes, toilet paper and sewing kits. Apart from that, you will find some basic utility items in this bag like waterproof bag, pencil, papers, flash light, rope, multi-tool knife, playing card, can opener and duct tape. During any emergency period, this bag can help you to survive. You will get all necessary tools and accessories in this bag, and you can easily carry this lightweight bag to anywhere. Disaster comes suddenly and it is impossible to manage all your goods within few seconds. So if you opt for this bag then you can easily fight against any disaster and you can also save your family members with the help of this single bag only. 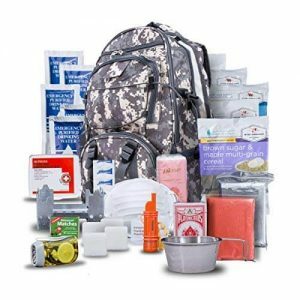 With this single backpack, you will get many things like, sleeping bag, adult sleep poncho, two tube tents, hand warmers, food and water, water pouches approved by coast guard, water purification powder, radio, flashlight, mobile charger, toothbrushes, shaving kit, shampoo, feminine pad, washcloth toilet paper roll,, medical kit and self adhesive bandage and many more. This is an all in one bag which is necessary for everyone’s life. To survive during any natural disaster, this is the only possible way for you and your family. “Monkey Paks Tactical Backpack” is a durable and US army styled bag for your convenience. Natural disasters do not come with prior notice, and you will not be able to arrange all your needs during disasters. You need a solid backpack where you can store your necessary items, and you can carry this bag anytime to anywhere. Along with that, those who love adventure need to collect this backpack immediately, because they can easily carry all of their essential things in this large bag and it is very easy to carry because of its light weight. You can easily sip with this hydration backpack water bladder and use the removable 2.5L large BPA free bladder. 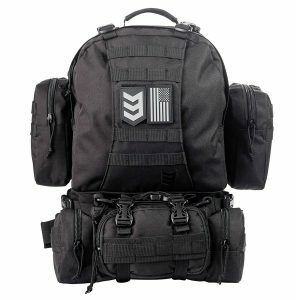 For your excursion and adventurous activities, this backpack is ideal because it is stylish and designed according to the US army style, and you can store ton of MOLLE webbing with all your gear requirements. 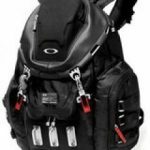 This bag has three different gear attachment spaces, where you can organize your gear with these pouches. 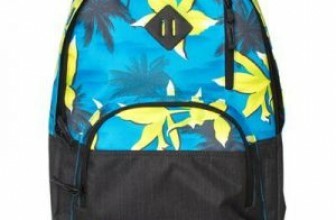 This bag is made with 6000D strong nylon and strong zippers. It is one of the most lightweight and strongest products and you can use it for a longer time. Along with that, you can also avail the 100% return policy given by the company itself, and if you find any problems with you bag, then you can return it and you will get your total amount back. To fight against any natural disasters, you need to arrange for several things, and you have to carry all of these necessary goods with you. So you have to arrange all your needs in this bag and easily carry this bag anywhere. This bag is designed with string and durable materials. Because of its lightweight feature, you can easily carry it to anywhere. You can store more than tons of items and you can avail different gear pouches of this bag. The separate belts can keep your bag comfortable, and you can easily lock this bag with the shoulder and leg lock belt. The zippers of this bag are very strong and you will get some additional zipped pouches with this bag. This is a water resistant product and you can use it for your tour, boating and adventurous or for any recreational activities. When you have this bag with you, you do not need to carry any additional pouches and bag for your foods and water bottle, because all of them can easily be accommodated in the separate pouches of this bag. Now you can easily make your activity and adventure full of excitement because you will never miss any of your necessary items when you are out of home. This bag will help you to carry all your goods, and you can also make your trip comfortable by carrying this single best bug out backpack. This is durable, lightweight and stylish, and it can give you more security for your essential goods, as it is equipped with a zipped lock system. So bring your Monkey Paks Tactical Backpack and prepare yourself for any natural disaster, or else go for recreational activities with your own backpack. For any outdoor and adventurous activity, for recreation and touring purposes, you need to carry all your essentials things like, garments, water, medicines, accessories, lifesaving jackets and many more. 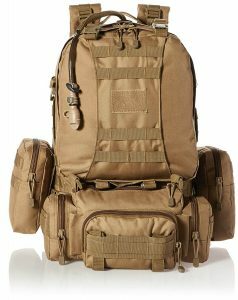 With this Paratus pack Tactical Backpack, you can carry all these tools and accessories along with your food and water pouches. 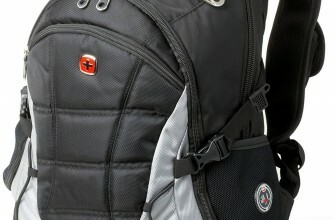 Apart from that, this bag is also designed with 600D PVC nylon and it has strong separate zippers. So you can easily use this durable backpack for a longer time, and you can also use this bag to fight against natural disasters. During these disasters, you need to leave your home within few seconds and you cannot arrange all your needs within this short span. But if you arrange all the basic needs in this backpack then you can easily leave your home with this single bag and you will get all your things together. This bag can handle heavy tasks because it is designed with 600D PVC nylon. Along with that, you can find all double stitches and strong zippers in this bag which gives you much longevity. This bag comes with two MOLLE pouches for your convenience. You can easily adjust this bag with the waist belt, and the shoulder belts are also adjustable as per your convenience. You can use this bag as a customized option. If you want to carry a small luggage for your short trip, then you can fold this bag and use the lower portion only, and for your large tour, you can accommodate all your needs in this bag. This bag is hydration compatible. The two double zipper pull of the main part of this bag provides you more security and safety. This bag is durable, light weight and you can carry this bag to anywhere. The stylish look of this bag enhances your personality and it is fully designed according to army style only. It is important to opt for a single luggage bag for your recreation and touring purpose. Otherwise you need to carry different bags to carry separate luggage and it will add to your burden. This backpack can solve this problem and you can carry all your needs and essential things in this single backpack. This bag is durable and made with strong materials. It will provide you best longevity. You can avail separate pouches with this bag, and you can also customize the size of this bag as per your needs. The nylon and double stitches of this bag have made it stronger, and you can drag this bag for your convenience also. This is the most affordable product which can arrange your goods and save you from any natural disaster. Additional and easy return policies are offered by the main manufacturing company. Now you can arrange your goods, accessories and utility tools in this single bag, and you do not need to carry any additional pouches for carrying your foods and water also. This bag has separate pouches to carry your foods and water, and you can also hold this bag with the waist belt as well as with the strongest and comfortable shoulder belts. You can adjust the height of this bag and customize this bag as per your needs. So orders for the Paratus pack Tactical Backpack and make your life comfortable. 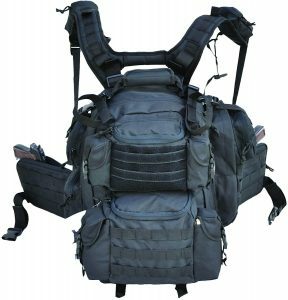 Tactical Gun Concealment Backpack is one of the most trusted backpacks in the market, and it is designed with four extra military style pockets and buckle in front. The six zippers of this bag will make you feel more convenient, and you can also carry your laptop in the separate laptop pocket. 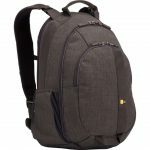 This is a combination of several styles of backpack, where you can accommodate your gadgets like laptop, tablet and mobile phones along with your necessary items and utility tools. This backpack is designed in a military style and it looks very stylish. It has two separate gun pockets, and this bag is designed with several pockets for storing laptop, tablet and mobile devices. You can store your valuable tools along with garments, medicines, foods and accessories in this single bag, in their different strong pockets. This back is designed in black and with a military style design. It is durable and lightweight and you can easily carry it anywhere. You can store tons of materials in this single bag. This bag is designed with four extra military pockets, front buckle, six zipper pockets, two handles, one laptop and one tablet pouch. You can easily hold this bag with shoulder belts, front buckle and waist belts. This bag is made with some of the strongest nylon materials and it provides you better longevity. Now you can arrange all your needs along with your medicines, garments, accessories, foods and water pouches in this single bag. It can provide you with more comforts and you can hold this bag with the different belts. It is very easy to carry because it is light weight and durable. The stylish military designs of this bag enhance your style statement. It is ideal for recreational activity, adventure, and for trekking, boating and touring purposes. You can store many items in a single bag, and you do not need to carry any additional burden with you. It provides lifelong warranty by the manufacturer. It is water resistant and you can easily clean this bag in a normal way. Easy to carry and bring this bag to anywhere you need. Strongest product made of nylon. Easily carry your laptop, tablet and mobile phone in the separate pouches. Now you can arrange all your needs in this single bag and you can go anywhere with this backpack. This is the most lightweight and durable bag where you can accommodate all your goods, and this bag is hydration capable and it comes with lifetime warranty. For more details it is suggested to read the warranty manual provided by the company. 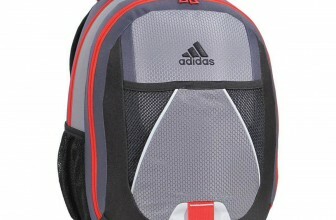 For travel, recreation, boating and other adventurous activities, this backpack is the ideal for you. The Wise Foods Five Day Emergency Survival Backpack is an ideal survival backpack for individual. In this pack, you can avail all your food preparing utensils like, portable stove including duel tablets, 32 serving of Gourmets meals, five water pouches, appliances, plates and bowls, spoon, knife, chopper and many more. For recreation and adventurous trips, tours and boating, you need to carry your food ingredients with you. For example, when you visit a dense forest or the hill area, you cannot find any accommodation and hotels in these areas, and you need to install your tents, arrange your own foods and install the portable toilet for your convenience. In this regards, this best portable food survival backpack is the ideal for you. This 5-day survival backpack can easily accommodate many food items and your appliances. You can carry this bag anywhere as per your needs. This bag is designed with strong nylon and it can provide you with much longevity. You can avail the limited warranty period provided by the company. This food backpack is available with the portable stove, fuel tablets, appliances, water pouches and 32 gourmet meals. It has extended shelf-life capacity. 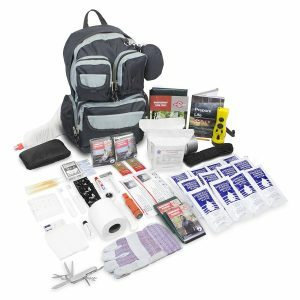 This is an emergency survival pack, and you can use this pack during any natural disaster. It can save your life. If you are planning to visit the countryside villages or hill area or some dense forest, you need to carry your foods with you. If you bring this food survival backpack with you, then it can solve all your problems related to your kitchen. You can cook your foods on the portable stove provided in this bag and this is safe. It has more than 25 year’s shelf life and you can easily use this bag for a longer period. It has separate water pouches, and you can also carry your kitchen appliances in this bag. Now you can use this backpack for your recreation and adventure activity. It is very important to carry food and arrange the foods in outdoor places, when you are out for the touring. But you may miss out some ingredients and you cannot prepare your foods in such cases. With this Wise Foods Five Day Emergency Survival Backpack, you cannot miss out on any food ingredients, and you can easily prepare your food on the portable stove and use the appliances, and make your dinner or lunch enjoyable at the recreation place. This bag will also save your life during natural disasters, and you can find all the food items in this bag which can save your life for next five to six days. Choosing That Ultimate Bug Out Bag? When you go for buying a bug out bag for yourself, you must keep such things in our mind. It will help you in making a purchase that is the best for you. Hydration Bladder: This feature of any bag is an added advantage to any carrier. These bladders help you to carry a large amount of water for a longer distance. This would help you to stay hydrated for a longer period. You will also be benefitted, as you will be able to move as fast as possible. Protection from Rain: some bags are even provided with a rain hood, which is a protection from the rain. There are covers that are provided with the bag, kept away in a separate compartment. It must be pulled out when in need. It would let you not to be worried about the protection of the bag as well as the objects put in it. Provision For Survival Tools: Yet another feature to be looked upon for apt handling/storage of tactical equipment like knives/hooks/ropes depending upon the kind of situation you are preparing yourself for. Comfort: When you buy the ultimate bug out bag for you, it is necessary that you buy one such product that would help you to carry with ease when you travel. To make sure of the comfort you must be aware of these things. The straps when made up of narrow webbing may hurt your skin when tied firmly to your body. You have the complete potential for carrying everything you need for your trip. Narrow straps may add to your inconvenience. Therefore, broad straps are always preferred, while purchasing a bug out bags. Proper Clipping: The bag you purchase must have a proper pair of sternum clips. These clips would help you to counterbalance the force when you are climbing up something. This uses the bony part of your chest to keep the bag at the place. It is very useful to check the presence of these clips before you buy your ultimate bug out bag. Proper Aeration: Carrying a bag clenched with sweat all day along will add to a lot to your discomfort. There are such bags available in the market that is provided with piping that allows airflow on your back. This would definitely be an advantage to you when you are on an adventure. Gender Specific Designs: There are such bags available in the market as well which has gender-specific designs. Such bags accommodate well with the body of the carrier as they have got a particular kind of cut and shape. This kind of feature in the bag helps you to feel comfortable while carrying them. Hip Straps: Hip straps and padding are the most important feature among all. The hip straps and padding helps to transfer the weight on the strong thigh muscles rather than leaving it on the shoulders and hurting them. This would be more under stable by the persons who have traversed a long way with heavy carriages on their back. Volume of the Bug out bags: Here come the next criteria for choosing your best bug out bags. You must always consider the number of persons you have with you. This would decide the volume of the bag you will choose to carry with you. However, more the member more is the content of the bag and thus heavier it will become. In such case, it is convenient that you carry only the essential materials in your bags rather than carrying everything with you. 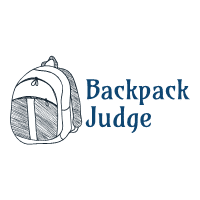 Affordability: Lastly the affordability is a very important factor for choosing any backpack, and in this regards you can rely on the online shopping portals. You can find some discount price ranges given for the sale of bug out bags in these portals, and you can avail various options. By now, you must have well understood what kind of bag you want for your adventure. Now you must have a good planning in your mind that where you can put your materials. It is necessary that you put the large items in the big pocket and smaller items in the smaller ones. This will help you to find your necessary items in a hurry. These were all kinds of features that would be helpful for you when you plan to buy the best bug out bag for your adventurous trip. All you need to do is to keep in mind what your requirements are and purchase accordingly. Uses Of Best Tactical Bug Out Bags? Bug out bags or survival bags are of immense use to one who is out for any kind of adventures. One can put these bags to a variety of uses. All kinds of expeditions have different kinds of requirements. You must fill your bags accordingly. It is to know what you may need during your expedition. It is possible only if you are experienced. If not, you must follow a particular guideline that is provided to you. Here are the uses you can put your survival bags or bug out bags to. When you go for hunting, you must have some typical contents in your bag that would be great help during your expedition. Here is the list of the things that you must carry along with you when you go for hunting. The first and foremost thing that you must carry along with you in your bag is the food and water. You must measure that amount of food and water that would be enough for you to last for seventy-two hours. You may need the water for washing, cooking in case you have to cook something, and drinking. The food you need to carry along with you must be a pack of nonperishable food. In Life, one might come across situations where survival is at risk like earthquakes, floods and avalanches. A bug out bag or a survival bag comes in handy to help you survive in toughest of conditions. A tactical bug out bag helps you stuff in life saving drugs, water, food, clothing and many more survival tools required to be carried in such situations. A Bug out Bag can be a ready resource in times of need and help you survive till the help arrives should you meet with any such situation, god forbid! When you are travelling in a forest, you never know what harm may come to you or to any other member of your troop. Therefore, you must always carry a first aid kit along with you. You may not have an access to any doctor or any such specialists, in such circumstances you will get help with the kit. Adventure trips are the one in which you do practically nothing about the place you are visiting. In such a situation, you may have a few such requirements that are not usual in any case. In such cases it is the most important that you carry a torch or any lighting object along with you. You must be aware about the road conditions you are passing through. While going on a trekking the most important thing that is to be kept in your bug out bag is a compass to get the proper direction. You must keep a compass along with you. This will help you and your team members in your adventure. Mountains are the elevated areas. When you rise up the mountains, you go up the altitudes where the temperature immensely falls. Thus to adapt in such situation you must carry a well cold proof jackets along with you. These were the few utilities of the best bug out bags when they are carried in different kinds of expeditions. You should be aware that you carry your survival bag full packed and organized.